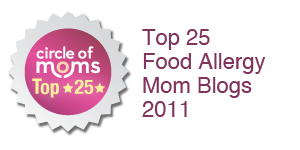 The Nut-Free Mom Blog: Nut Allergy Resources for the New Year -- and My Thanks! Nut Allergy Resources for the New Year -- and My Thanks! 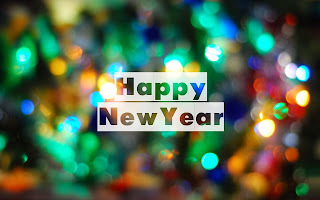 I want to wish all of you a very Happy New Year! I would also like to take this opportunity to thank everyone who has read my blog, bought my e-book and commented on the blog in the past several years -- I so appreciate your readership, product tips and other info that you share to help others in our shoes. 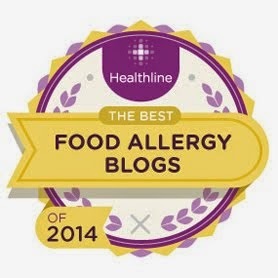 Your readership and support has made my blog an award-winning blog and my book one of the top sellers on Amazon in the allergy genre, so thank you! 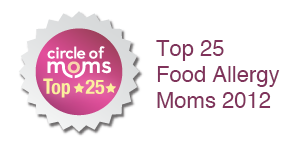 I am truly humbled and gratified if these resources have helped guide you as you learn to adapt to life with a severe peanut and/or tree nut allergy. Thanks also to everyone who has given me positive feedback. My most recent example is the mom who said she found my blog and was 'in tears' because I was describing experiences and situations she was very familiar with. I started this blog to help parents and caregivers feel less alone while also providing practical tips for everyday life, especially important when you are just starting out with a nut allergy diagnosis. 2014 marks the beginning of the sixth year of my blog -- can you believe it? -- and I've written more than 600 posts about the many aspects of living with and dealing with a life-threatening nut allergy. 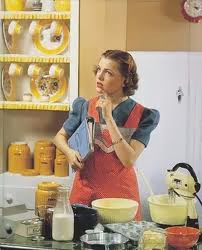 If you'd like to search those posts, check out the "search bar" in the upper left corner of the blog and enter a key word like "school" or "nut-free recipe." You will find a list of blog posts on your topic. Just a reminder: this blog is not for medical advice, but for the social, emotional and every day aspects of living with food allergies. For medical info, always ask your doctor. New Year, New Nut Allergy Diagnosis? Have you received a nut allergy diagnosis in the past year? Here's an article that describes some of the things I've found to be most helpful in helping your child, family and yourself learn to adapt. Are you halfway through the school year with a child who has a severe peanut and/or tree nut allergy? Then you'll want to review this checklist to help you plan the rest of your healthy, happy school year. Click here to read the complete article. In this article, I talk about updating your prescriptions, so check out this helpful info about epinephrine auto-injectors that I found by following food allergy advocate and author Linda Coss on Twitter. EpiPen (R) and Auvi-Q (TM) are both continuing their "zero co-pay" offers in 2014. Sign up to download your coupons at https://activatemysavings.com/epipen/ and https://www.auvi-q.com/sign-up Thanks for sharing, Linda! For those of you who haven't tried the Auvi-Q yet, here's a post I wrote after we got our Auvi-Q device. If you're looking for nut-free recipes, nut allergy articles and the like in a really easy-to-use format, I hope you'll check out my Pinterest page. Lots of good stuff there and tons of recipes, school lunch ideas, holiday stuff -- check it out and then follow me! Here's a direct link to my nut allergy resources board, but I've got lots of others, too -- (not all boards are allergy-related, so scroll through the list to find the ones that suit you best.) You might want to also try my Nut-Free School Lunches board and Nut-Free Recipes. I have holiday boards too, so keep checking back as I add more recipes and ideas. Based on years of my own experience, my e-book provides parents and caregivers with answers and guidance on some of your top questions. Written from the perspective of a parent in your situation (yours truly), "The New Nut-Free Mom: A Crash Course in Caring for Your Child with Nut Allergies" is short, concise and compassionate. Available for download via the Kindle, the Nook, to your iPad or tablet and more. Click here to find out how to get this helpful guide. Happy New Year!! As you prepare to face the new challenges of 2014, I wish you all the best!